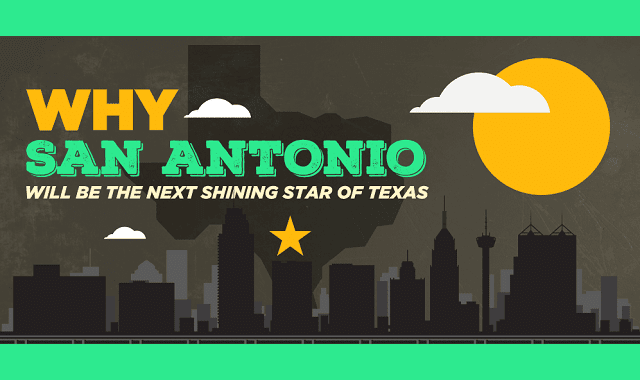 Why San Antonio is the next Shining Star of Texas #Infographic ~ Visualistan '+g+"
From The Market Square to the King William Historic District, there’s a lot more to San Antonio than The Alamo. While The Alamo Cathedral does draw in 2.5 million visitors to the area each year, you certainly don’t have to move on after your visit. San Antonio is home to The Missions National Historic Park, which boasts the United States’ largest collection of Spanish Colonial architecture. Learn more about all San Antonio has to offer from this infographic!